Let’s face it. Sometimes, bigger is better. Hey, let’s keep it clean! We’re talking vocabulary here. And when it comes to vocabulary, it’s true. In any language, the larger your vocabulary is, the easier it is to communicate. Think of a toddler whose limited speaking ability triggers tears and tantrums. 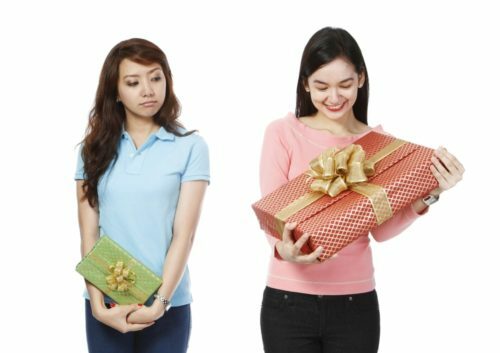 Sure, they generally get what they want or need but that’s due mostly to the stellar guessing abilities of the adults around them. Increasing your communication skills facilitates tear-free, no-screaming interactions with those around you. With a large Spanish vocabulary you can order food, travel or prepare to study abroad—and all without a single tantrum! So the question is, how do you boost your Spanish vocabulary? 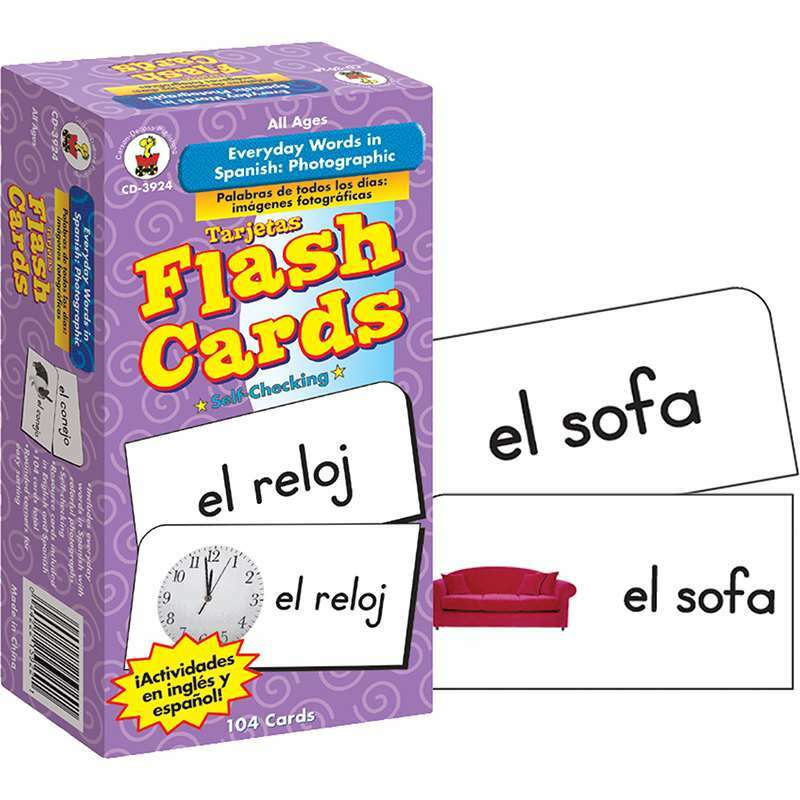 And the answer is simple: Spanish vocabulary cards, of course! By using either—or both—old school (paper) and technology-based (digital) flashcards, you’ll increase the size of your vocabulary so quickly you won’t even feel the growing pains. Fast. Fun. Bigger. And better. Let’s see how we can make this dream come true. Vocabulary cards are no different from any other Spanish language tool in that you should always choose materials that match your language level. If you’re a beginner, look for basic beginner cards. Don’t worry—most resources indicate their target audience either on the package or in the online description. The same holds true for advanced learners; if you need to challenge yourself, select Spanish vocabulary cards that showcase whole phrases or even idioms. If you can’t find what you’re looking for already made, you can make your own. We’ll cover more on that in a bit! Another point to consider is that you’ll want to decide how much time to devote to working with your cards. Again, this is like other facets of your Spanish program. You spend a certain number of hours with other learning materials. Do that with vocabulary cards, too, and you’re sure to grow your vocabulary. Consider using more than one set—or a mix of digital and paper cards. For a lot of us, the variety factor helps to keep learning interesting! 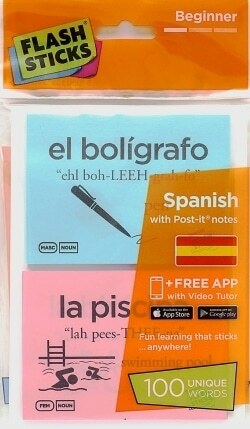 Remember, Spanish vocabulary cards are mobile and small, so you should spread them around. Leave a set in the car, another in your handbag or backpack and still another set on your kitchen counter. That way, wherever you are, you’ve got materials for vocabulary building. Don’t forget your phone can be an asset to your language program. Add a flashcard app to your phone and, if you’re like most of us who never leave home without it, you’ll always have Spanish vocabulary cards nearby! 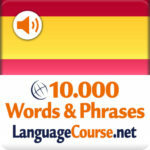 So the simplest way to build an impressive Spanish vocabulary card collection (and massive vocabulary!) is to make your own cards. 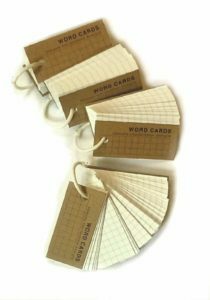 It’s old school and uncomplicated but with index cards and a dictionary you can amass a huge pile of vocab for a minimum investment. Look to your local bookshop for an assortment of index cards and a complete Spanish dictionary. I prefer to use mini cards on a ring, like these. They’re really compact and slip into my handbag without taking up too much space. Also, I can open the ring to divide my cards into categories. That’s right—categories! You can—and should—build specialized packs of cards or just divide them into categories that each focus on one aspect of Spanish vocabulary. It’s a snap to brush up on business vocabulary, verbs or even slang phrases when you’ve got the categories separated. Feeling mischievous? 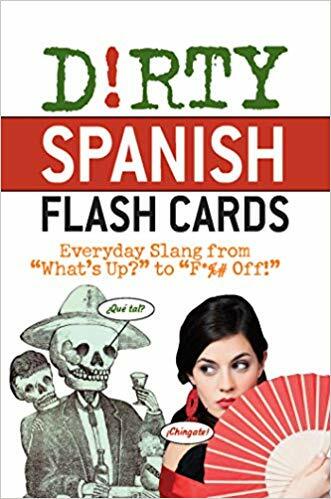 Use the transcripts from Gritty Spanish to make a batch of non-G-rated cards that will surely power up your street lingo! One of my favorite parts of using vocabulary cards is that there are so many options. 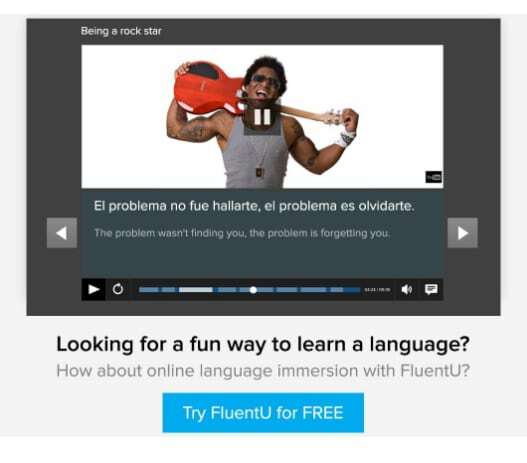 There’s literally something for everyone with this language tool. To make the process of choosing what will work for you easier, I’ve divided things up a bit. Why waste time trying to sort through everything all on your own? Let’s take a look together so you can weigh your options and hopefully choose the best Spanish cards for your program. 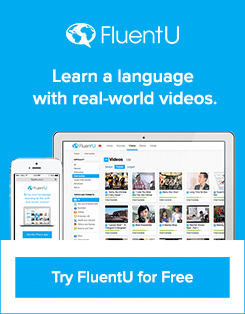 FluentU turns real-world content into a language learner’s greatest ally. With global content that includes music videos, news clips, inspirational talks and movie trailers, this is the go-to spot for all things Spanish. Video captions are subtitled and translated, and it’s an absolute breeze to construct custom decks of multimedia flashcards for words, phrases and expressions that are connected directly to the videos. If you’d prefer to take a card-focused approach rather than watching whole videos on their own, you can simply use “My Vocab” (or organize your own decks for different categories). 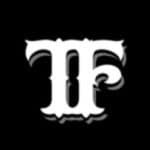 Flashcards let you learn through questions and quizzes alongside clips from videos across the site. It doesn’t get much better—or easier—than that! 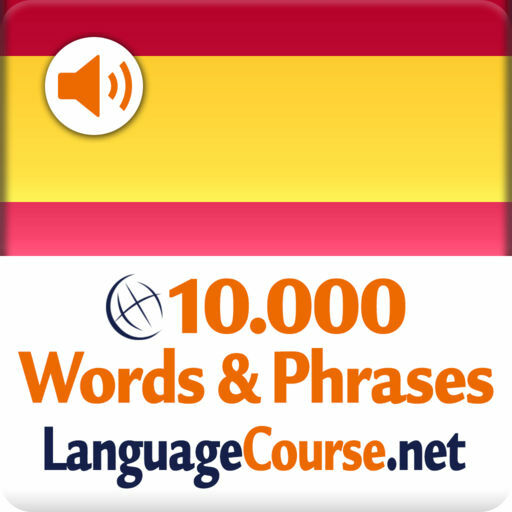 Essential Spanish Vocabulary is an app that’s available for iPhone and iPad. 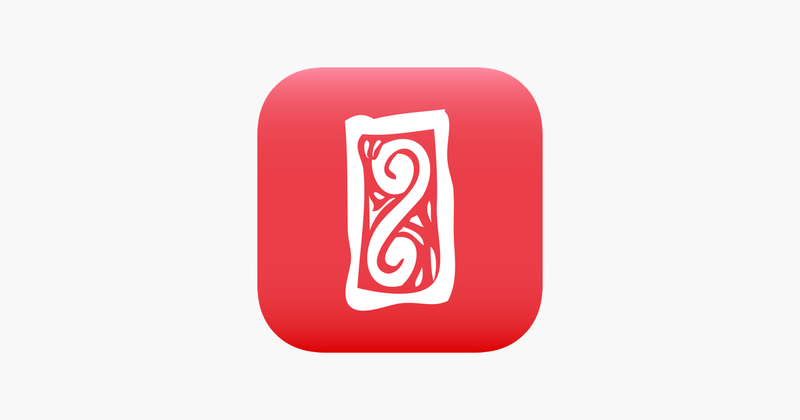 There are 200 basic flashcards to use free and an assortment of in-app purchases to upgrade or customize your learning. Numbers, greetings, weather, telling time and loads more are covered with the basic pack, so it’s a good app for beginners. And if you’re not sure whether you’ll prefer paper or digital cards, try these for free and see how you like digital Spanish vocabulary cards. You’ve got nothing to lose and lots of vocabulary to gain! 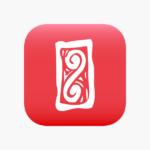 The Learn Spanish Español app is available for both iOS and Android and is a Spanish language learner’s dream! There are—brace yourself!—10,000 flashcards. This app is designed for rapid vocabulary learning. It’s possible to put this in listening-only mode so you can learn while driving, at the gym or even cooking dinner. No doubt, this is a comprehensive vocabulary card option that’s sure to build your powers of communication! 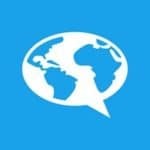 Amazon is an excellent resource for materials for language learning. Just type “Spanish vocabulary cards” into the search bar and prepare to be amazed. Here are some gems to start with. Barron’s is such a language-learning leader that you’ve got to know these vocabulary cards are on target for their intended audience. 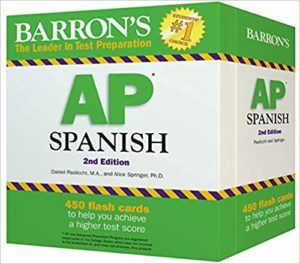 The 475 cards provide specific preparation for the AP Spanish Language and Culture Exam. Don’t discount them for general use. Even if you’re not taking the AP exam, the material is helpful! Photographic flashcards? What a super idea! These vocabulary cards have realistic—and in some cases really lovely—photographs that match the word or phrase on each card. There are 104 cards and they’re suitable for both children and adults. If you’re looking for some slang or explicit vocabulary, Dirty Spanish Flashcards have you covered. I don’t suggest practicing this vocabulary in public unless you’re looking for a reaction, but learning a few swear words might come in handy sometime. Your local bookshop has even more to offer! I’ve seen some of these materials in college bookstores, so if you live near a college or university, go check out the Spanish learning materials that they carry. The links for online ordering are included here, but of course it would be great if you could just go pick them up and get started using them. I’m a Travelflips fan. I’ve got these cards, and honestly, my set is well worn from being used so often. They’re packed in a little box that makes them perfect to take along in backpacks or even just to toss in the car. One of the finer facts about this set of Spanish cards is that the word or phrase on the individual cards is also used in a sentence. That way, learners are able to see usage and context! I love that idea! FlashSticks are addictive. They’re vocabulary cards on sticky notes—which means you can stick them to almost anything for a truly hands-on (and fun!) experience. They’re available in different pack assortments, so if you’re looking to grab vocabulary about holidays and traveling, home and leisure, family and pets or a couple of other topics, you’ll be pleasantly surprised. They’ve taken the business of dividing vocabulary into categories to a new, sticky level. There are countless benefits of learning Spanish. A large vocabulary improves every aspect of our language journey, from basic communication to deeper reading skills. The more words we know, the better our Spanish experience can be. And you’ll probably find that learning Spanish words can be loads of fun. So remember, when it comes to your Spanish vocabulary… bigger is better!